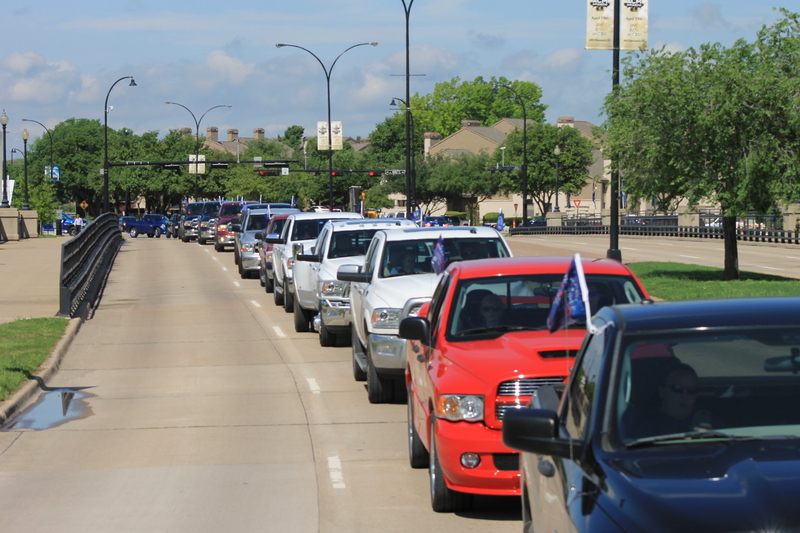 As truck owners began arriving early Saturday morning, the staging area for the parade was well organized, to say the least. 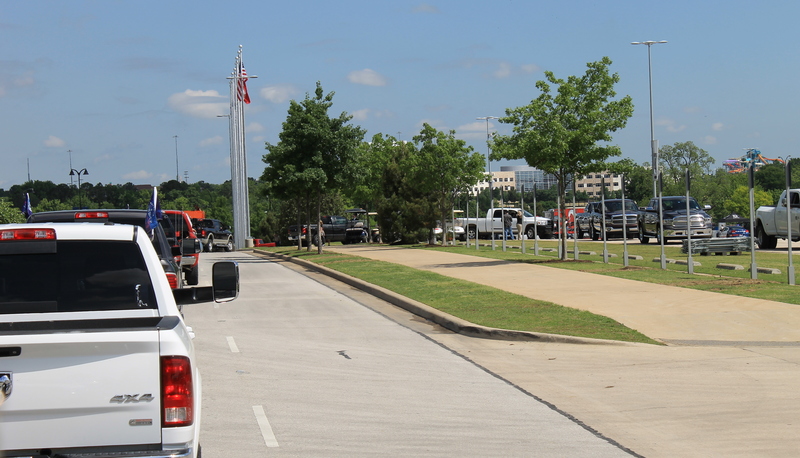 Ram representatives were there to help and trucks were lined up, ready to go from the moment they arrived. Owners were free to check in and then enjoy live music, take a turn at cattle roping and watch as Raminator wowed the crowd. 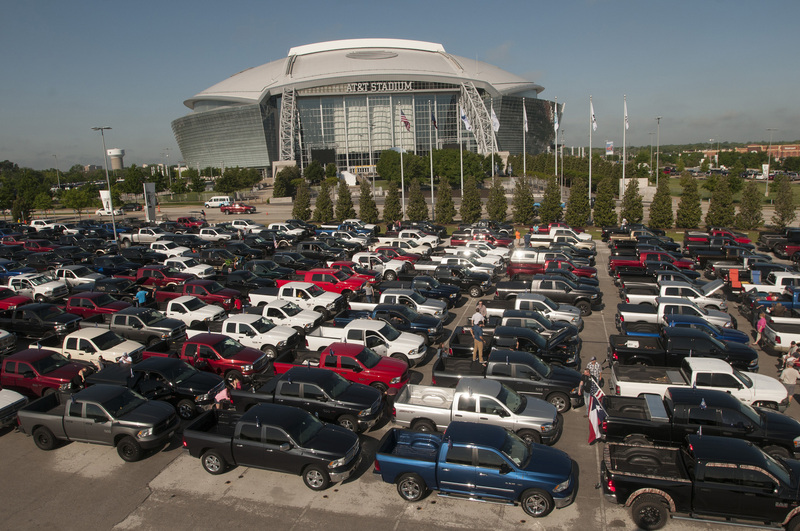 The most spectacular sight, though, was the sea of Ram trucks gathered to set a new world record. 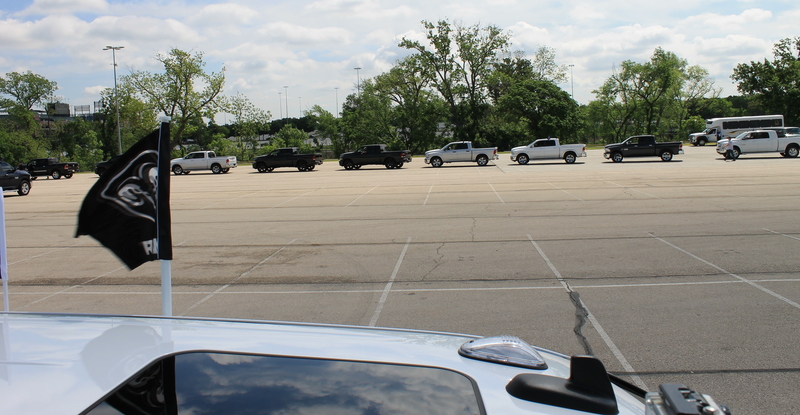 Ram trucks everywhere! What a sight to behold! 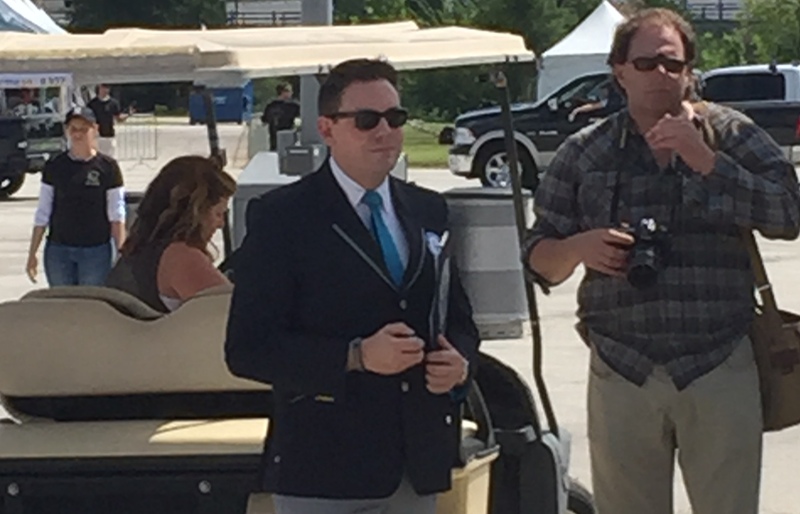 Just over three miles in 42 minutes … it seemed like it was over as soon as it began. The official count occurred as we returned. Can you imagine standing at the finish line, counting off 451 trucks as they pass by you? It seemed surreal that, as we pulled back into the parking lot where we started, there were still trucks waiting to begin the parade route. As we waited for everyone to return from the route, it was fun to see all of the other trucks. I was looking forward to seeing some older-model trucks in the parade. Unfortunately there were very few that participated, but we were lucky to park near the owner of this 1970 model. 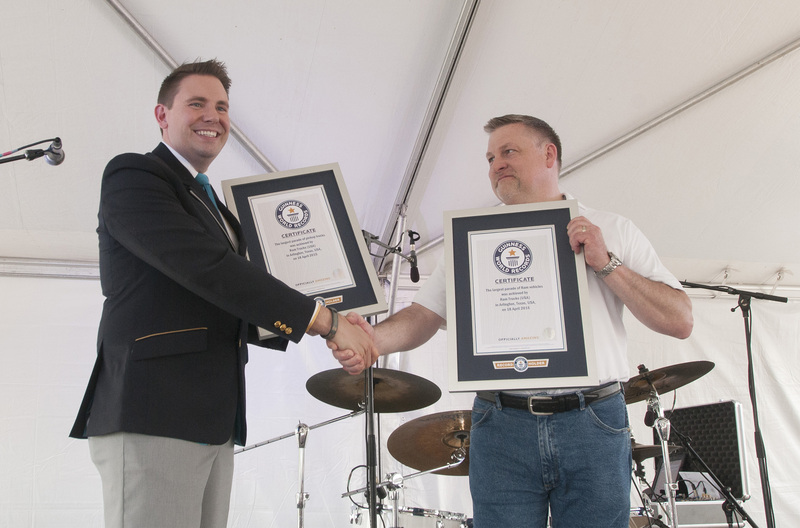 Guinness World Record representative Michael presented Ram with the official certificates. Congratulations on setting the record for the longest parade of Ram vehicles and breaking the record for longest parade of pickup trucks. What a day! If pictures tell 1,000 words, a video can speak volumes. We had our GoPro® running throughout the parade, but 42 minutes is just too long to post. 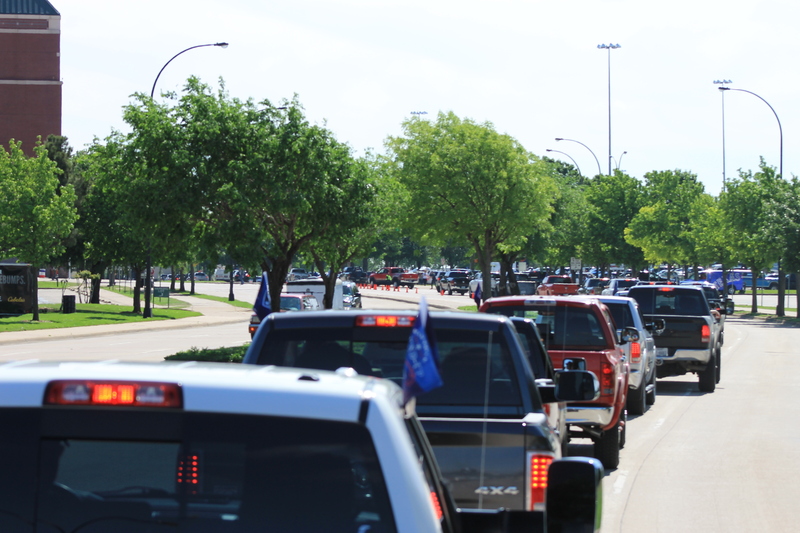 So here’s the parade in its entirety, sped up to 20 times regular speed. Enjoy!